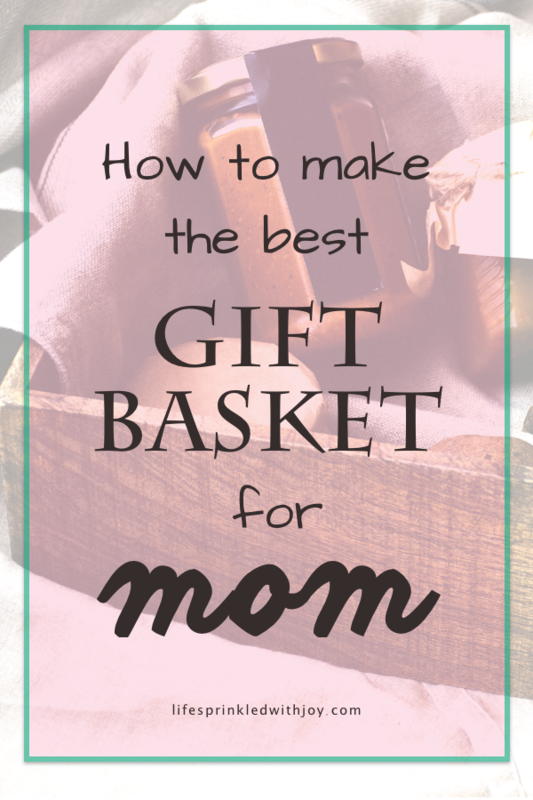 Gift baskets are great gift ideas, but how do you create the perfect gift basket for mom? 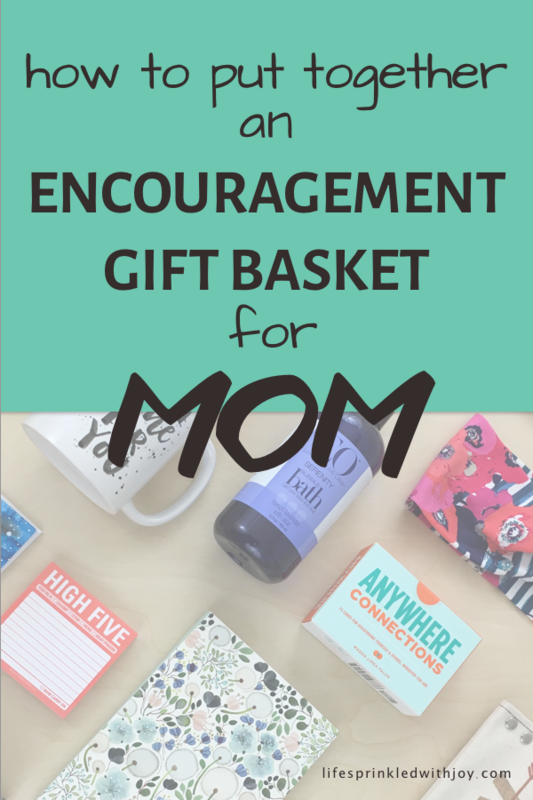 Typically we search for ideas for a mom’s gift basket around Mother’s Day, but there can be other times where you could use a gift basket as a way to encourage ALL the great moms in our lives. For instance, I love seeing new mom survival kits on Pinterest. Such a cool idea, and an awesome way to help ease the postpartum recovery of a new mom (or any mom with a newborn!). For some ideas on essential items to include in a new mom gift basket, check out What You REALLY Need After Having a C-Section. But even veteran moms have days when they too need a little encouragement boost. 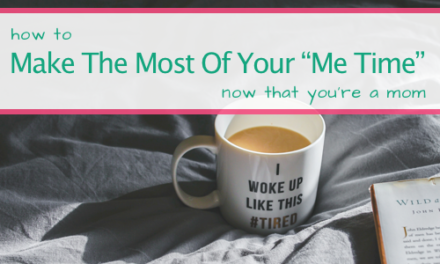 Yes, the newborn phase is tiring and stressful and, quite honestly, a huge shock to your system. But (as I’m starting to realize) so is every other phase of parenting. Mommying doesn’t get easier as our kids get older. The daily struggles—the highs and lows— just change. Every phase can be seen as a shock to your system – because you’ve never been here before (and even if this is your second or your sixth – it’s STILL DIFFERENT because each kid is different). 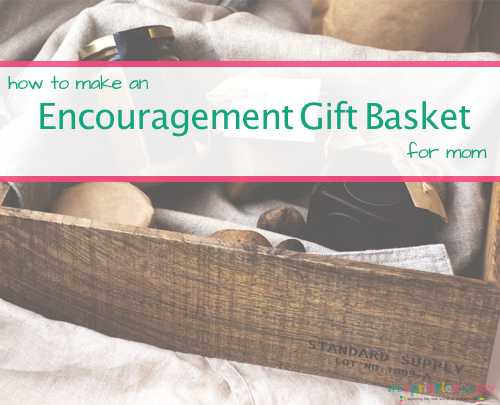 This is an encouragement kit after all, so include a fun and inspiring book or uplifting quotes for days when you know they will just need some kind words. I love the idea of making your own encouragement cards to sift through or place where it might be seen throughout the day. Look up some quotes or verses and write or print them out on notecards. I also love these ready-made affirmation cards from Knock Knock Stuff. They have cards with challenges and encouragement focused around key power words, like authenticity or courage. I think these would definitely provide a much-needed laugh, or power boost, on a long day. Or include a book of pretty and inspirational quotes. Whatever You Are, Be a Good One is a great idea too. A collection of short stories (remember those Chicken Soup for the Soul books?) and short thoughts would be a good edition to a mom’s encouragement kit. I like 1,047 Reasons for Smile by Elizabeth Dutton. Actual books – fiction or non-fiction, are good if you know what kind of books your recipient is into. But since moms are notorious for only having short snippets of time available to them, I tend to go with books that can provide quick-and-easy inspiration. Because chocolate cures all, right? Especially dark chocolate. Plus, it is an immediate mood-booster (don’t believe me? Check this out!). I love Compartes chocolate bars – the packages just look so pretty! I’m also a big fan of Theo Chocolates – and they are an ethically conscious company, so win-win. BUT not everyone loves chocolate. Salty Road Salt Water Taffy is a great option. They have so many flavors to pick from – I like their strawberries and cream flavor, which you can get here. This is for when momma actually does get more than five minutes to herself. A good soak in the tub can take away all the diaper blow-outs, grocery store tantrums, loads of laundry, and cell phone arguments she had that day. Okay, not really. But it can help. I love baths with good smells and good bubbles. EO Serenity Bubble Bath checks off both for me. If momma doesn’t like baths, think about including some aromatherapy shower bombs. I like these. Of course, a bubble bath is not complete without some bubbly. When I had Squiggles a friend brought me a mini bottle of champagne at the hospital. 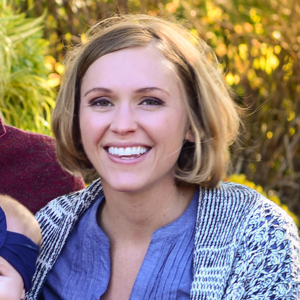 I waited to open it until a few weeks later – when I took my first postpartum bath. The combo was heaven on earth. Wine is good too. Wine is ALWAYS good. I like including something in my mom’s encouragement kits that will make mama smile…and hopefully laugh a little bit too. Right now I’m loving the idea of temporary tattoos – stay with me on this – they have some pretty cool ones on Etsy! I’ve used feather tattoos in my kits before (love the ones from AQuartzyLife’s shop), but there are some pretty floral ones too. If your recipient is a bit nerdy (like me), there are some sweet Wonder Woman tats right now (because all moms ARE superheroes). If I was making an encouragement kit for myself (hint hint to my husband) – you can’t go wrong with a killer HP tattoo. There’s not much better than a soft blanket to cozy up with. I am sitting amongst a pile of four such blankets right now as I write and watch my daughter crawl over my husband’s legs with a booger-soaked bib in her mouth. The point is, being cozy helps you embrace moments like this. All the messy moments of motherhood are better when you are warm and snuggly. So included some fluffy slippers, warm socks, or a cozy soft blanket in your mom’s encouragement kit – anything that allows momma to snuggle up! 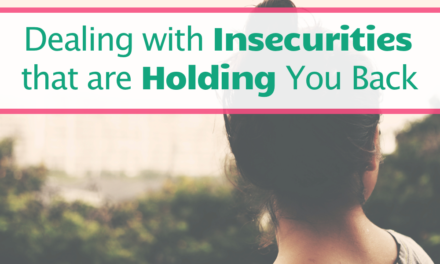 Encouragement is more than just providing a bunch of to-go items when days are hard. It’s also about challenging someone to be their best self. I love the idea of including a guided journal like Start Now or Do One Thing Everyday That Scares You. Even more I love these Anywhere Connections cards. 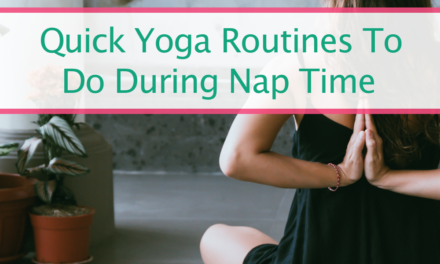 They provide an simple and easy way to try something new each day. I keep a stack by my bedside and draw a new card each morning. Candles. And more candles. We all know candles make great gifts because they smell awesome and look pretty. There’s just something about a candle that calms me. Coco and Bubbles makes beautiful 22 oz soy candles, but you can also get these soy-based Rackaphile candles on Amazon. I tend to like soy and all-naturally fragranced candles because of they are chemical-free (or at least more so). However, Anthropologie (and even Target now!) have some of the prettiest and fragrant candles around. Sometimes we just need to do something mindless to unwind and relax. For me, that’s coloring. I know adult coloring was a big fad the past few years – but that’s because it is FUN and CALMING. I love all Johanna Basford’s books, but I just saw this #Momlife Coloring Book and yes, just added it to my Amazon cart. And nothing goes better with coloring than a cup of hot tea. Harney & Sons has a pretty little tin of chamomile tea that’s just perfect for a mom’s encouragement kit. That’s it. Choose items from these categories and you’re golden. Get a fun little basket/bin from Target and HomeGoods, and add some colorful tissue paper for filler. Done and done.